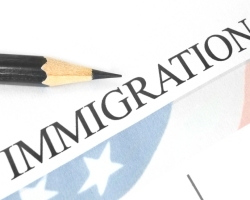 With illegal immigration such a hot button issue today, a common question that is asked regarding a New Jersey DUI case is how an immigrant will be dealt with in the event that there is a charge of DUI. If the immigrant is in the United States illegally, it could be a severe blow to their hopes to stay if they’re charged with DUI. Even if the driver is in the United States legally and is waiting for the okay to remain in the country as a resident, a DUI could significantly hinder that goal as well. Illegal immigration is seen as a significant problem in today’s society and if that illegal immigrant is also committing dangerous acts such as driving under the influence, there will be calls for deportation not just for coming into the country illegally, but for putting others in jeopardy. In addition, the driver who is arrested on DUI charges is not going have a valid New Jersey driver’s license, nor will he or she have the proper insurance. Due to the illegal immigration issues and a charge of DUI, a vast number of people who are arrested for DUI are simply being deported. One saving grace for an illegal immigrant who is arrested for DUI is that New Jersey treats DUI as a traffic offense and not a crime. This could save the driver from being deported. Drivers who are in the United States legally or illegally might not be aware as to how a DUI stop is initiated, what will happen during the stop and the penalties – apart from deportation – they might face if convicted. In New Jersey, an officer is not allowed to make a traffic stop to investigate a DUI without just cause. That means the driver had to have done something to justify the stop. This can include reckless driving, breaking a traffic law and many other viable reasons. Once the stop is made, the officer will ask to see the driver’s license, registration and proof of insurance. An illegal immigrant is unlikely to have any of this information. The officer will also look for clear indications that the driver has been drinking. This can include slurring words, having bloodshot eyes and smelling of alcohol. Next, the field sobriety tests will be given. The One-Leg Stand test, the Walk and Turn test and the Horizontal Gaze Nystagmus test are all given to get a gauge on the driver’s sobriety. Then there will be a breathalyzer test. If the driver is suspected of being under the influence of drugs, the officer will want to take the driver to the hospital to draw blood. With the breathalyzer test, if the driver registers a blood alcohol content of 0.08% or above, there will be an arrest for DUI. Penalties for DUI can vary on the situation, but if there aren’t any accidents or a BAC of 0.10% or higher, the driver will face the following: a driver’s license suspension of three months; a fine of $250 to $400; an annual surcharge of $1,000 per year for three years; a $230 payment to the Intoxicated Driver Resource Center (IDRC); $100 each to the drunk driving fund and the Alcohol Education and Rehabilitation Fund (AERF); $75 to the Neighborhood Services Fund; and up to 30 days in jail. Obviously, if the driver is also in the country illegally, it will throw up a whole new series of roadblocks if they’re hoping to be granted legal status at some point. When there is a DUI arrest, it’s possible that ICE will get involved. This might hinge on the arrest, why it was made, what happened during the DUI investigation and the situation surrounding it. Although DUI is a traffic offense, if ICE chooses to do so, this can be used as a justification to begin proceedings for a deportation. For a case such as this, the driver will not only need a DUI attorney, but possibly an immigration attorney as well. 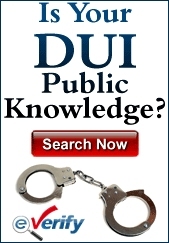 With a basic DUI, there is a chance that the driver might get away without having ICE become involved. If, however, there is an accident with injuries and/or a fatality, then the driver will not simply face charges of the traffic offense of DUI, but will likely also face criminal charges as well. Then, ICE will almost definitely get involved. Research has indicated that a significant percentage of the people who were deported from the United States in the past year were found out because they had been caught committing a DUI. With a crime being committed in addition to the DUI traffic offense – for example, eluding an officer – the officer will then ask the driver about his or her immigration status. If the answer is that the driver is in the country illegally, then the officer will report the infraction to ICE and the driver will face a whole host of other problems that could result in deportation from the United States.